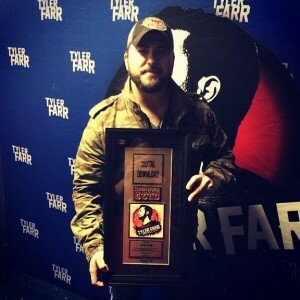 Prior to his sold-out show at Vancouver’s Vogue Theatre, English singer-songwriter Passenger was surprised with a custom Canadian Diamond award plaque by Nettwerk Music Group for his 2012 hit single “Let Her Go.” The hit song can be found on Passenger’s debut studio album All The Little Lights, which reached Platinum status in Canada in 2014. 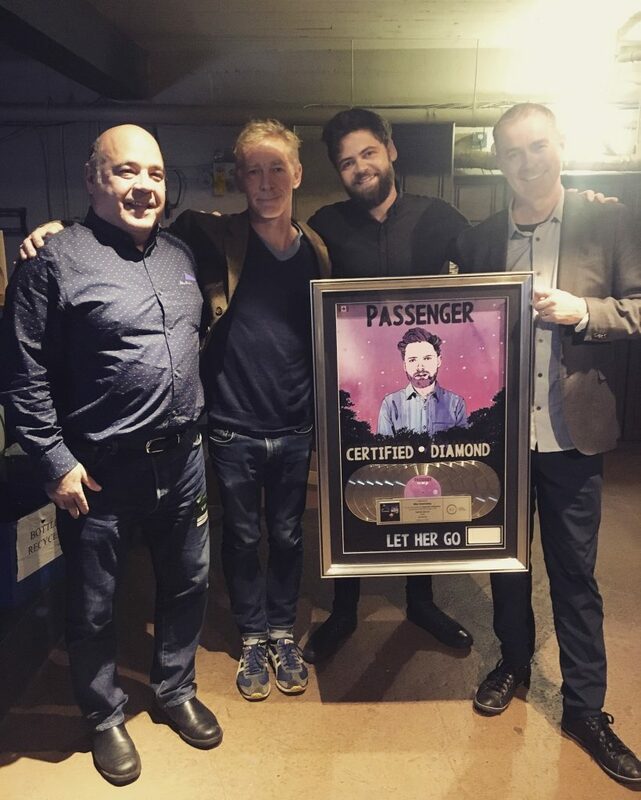 “Let Her Go” is the 16th song to reach Diamond status in Canada, and 15th in the streaming era. 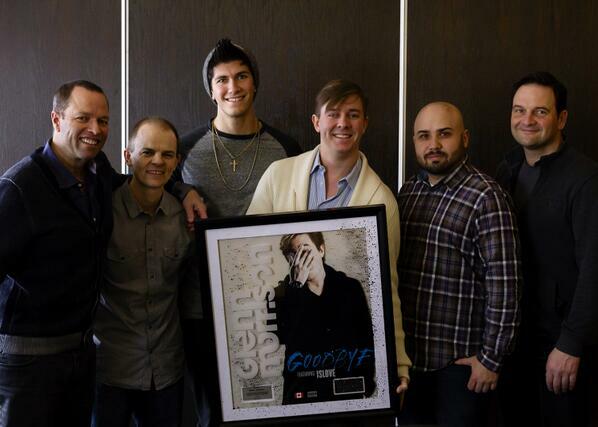 The video for “Let Her Go” can be viewed below. 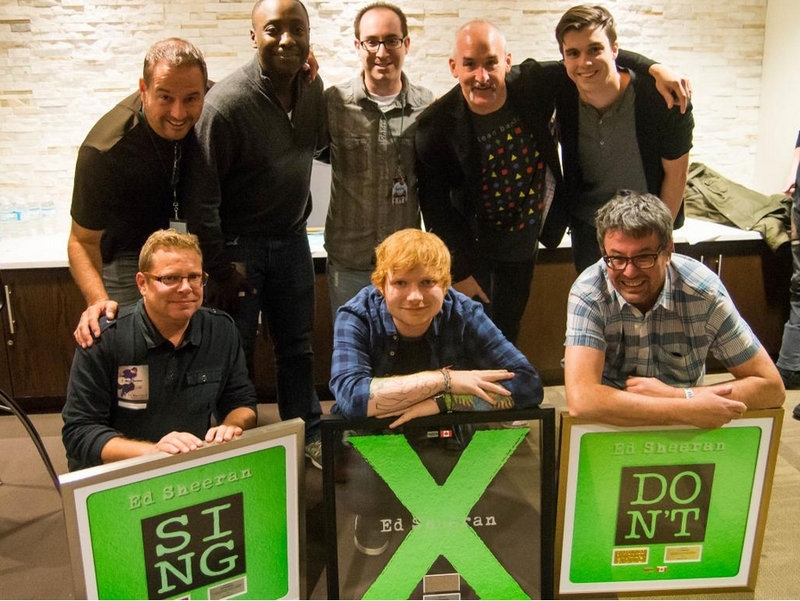 “Perfect” is the fourth single to be certified Diamond in 2018, and joins Divide hit “Shape Of You” as the second Diamond single from the album. Watch the music video for “Perfect” below. 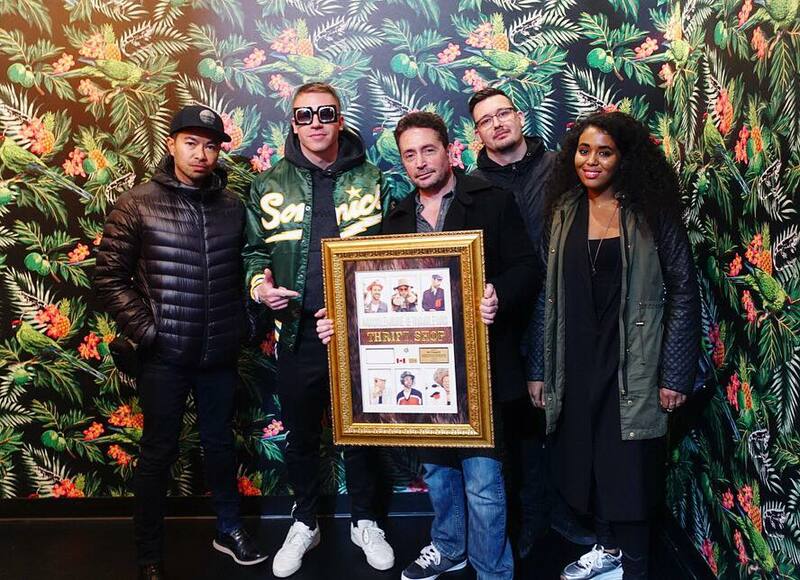 Seattle, WA rapper Macklemore was in Toronto last week for the sole Canadian date of his North American Gemini Tour. 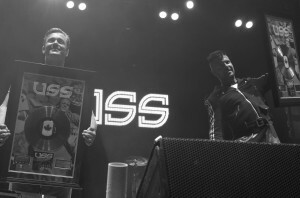 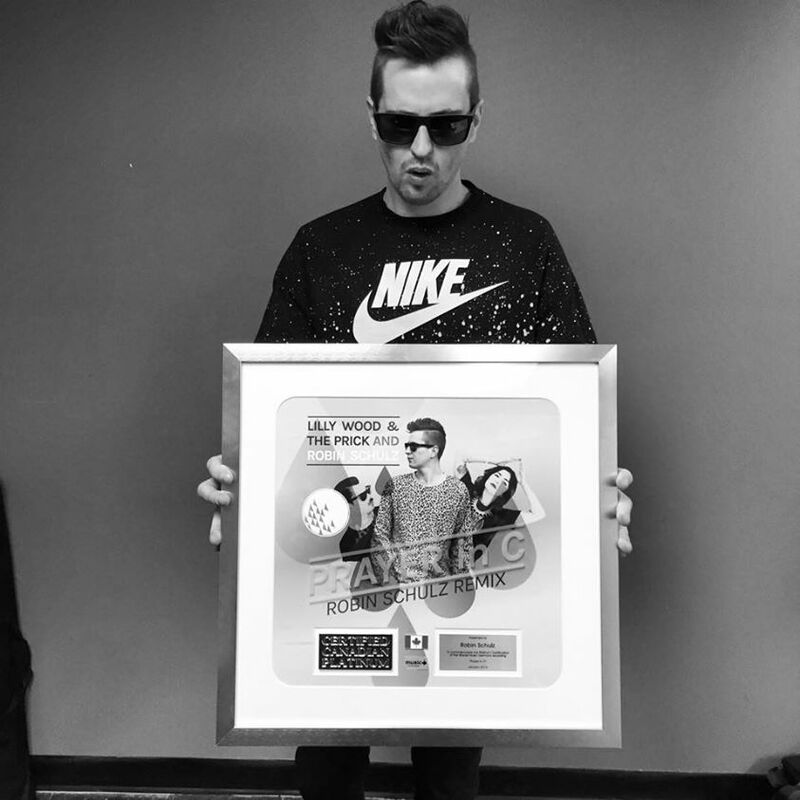 Prior to his show at REBEL, Macklemore was presented with a custom Diamond plaque by Warner Music Canada for “Thrift Shop,” his 2013 Grammy-winning breakthrough hit with Ryan Lewis from their Platinum-certified album The Heist. 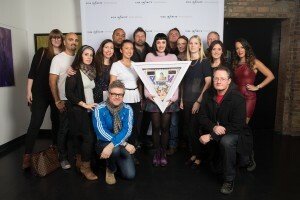 “Thrift Shop” was the seventh track to be certified Diamond in Canada and the sixth since Music Canada launched the new Single Award, which combines on-demand audio streams and digital track sales. 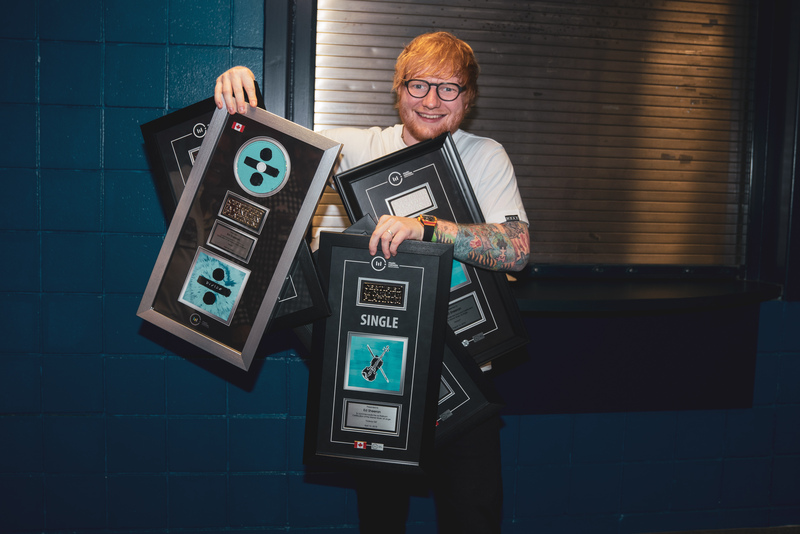 Ed Sheeran returned to Toronto’s Air Canada Centre for two sold out shows over the weekend as part of his North American tour in support of his 2017 album, Divide. 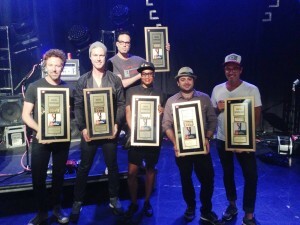 Prior to the show, Sheeran was presented with multiple award plaques for the album and its singles by Warner Music Canada. 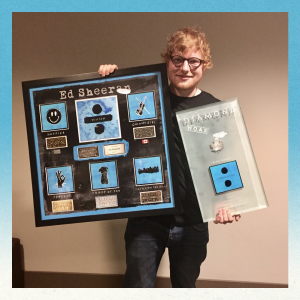 Sheeran was then presented with his first Diamond award plaque for his smash single “Shape Of You,” which is the fourth track to be certified Diamond in 2017. 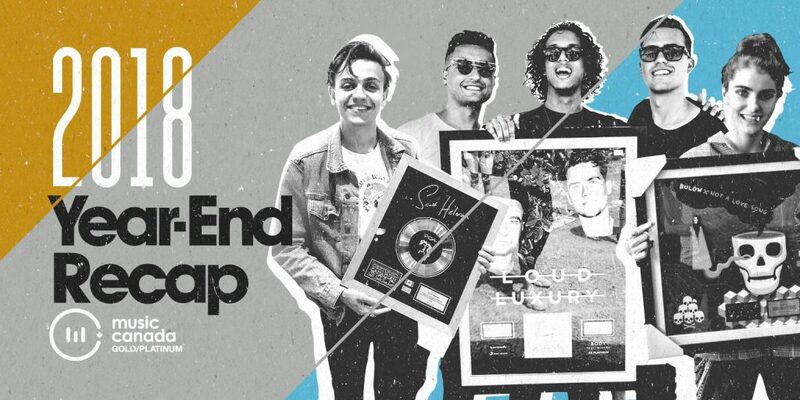 The video for “Shape Of You” can be viewed below. 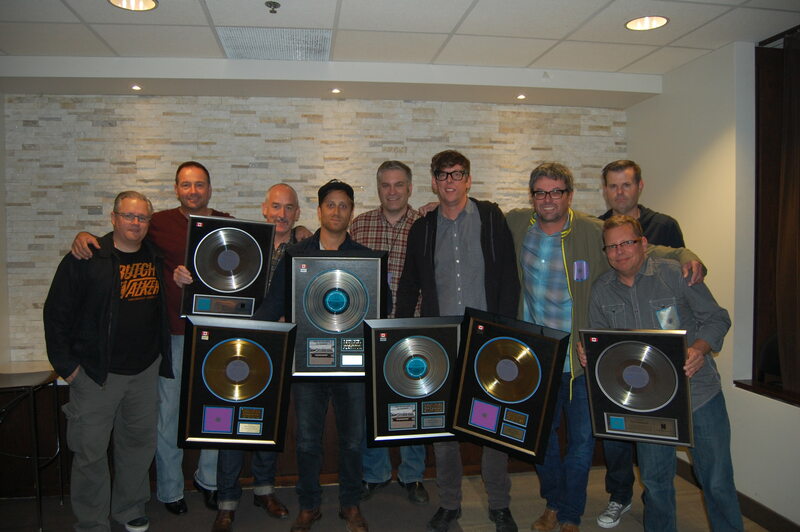 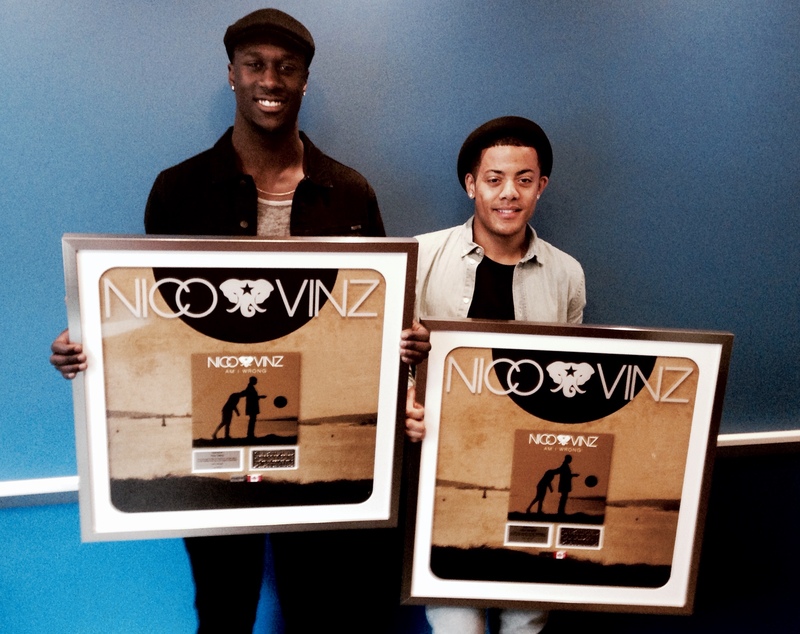 In 2014, Music Canada’s Gold/Platinum Certification Program recognized a number of Canadian and International releases achieving milestone success. 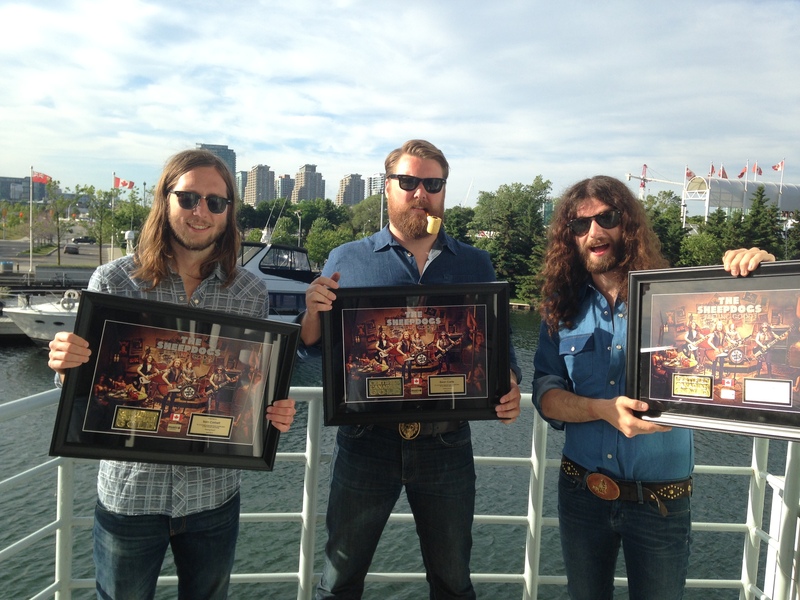 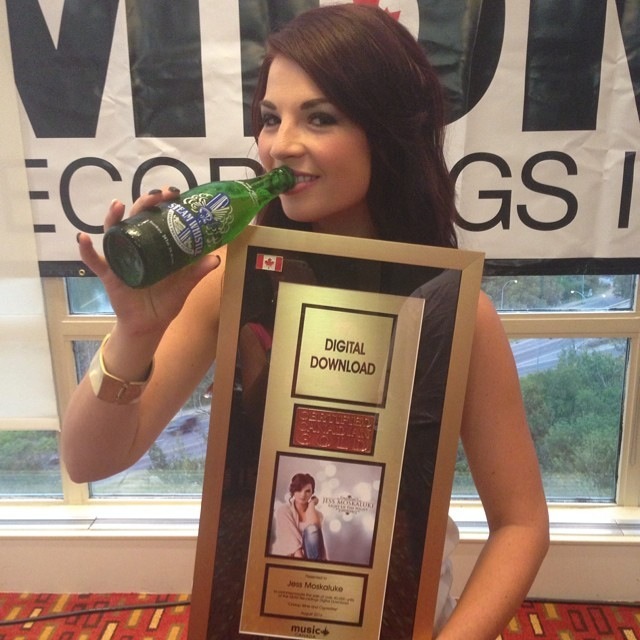 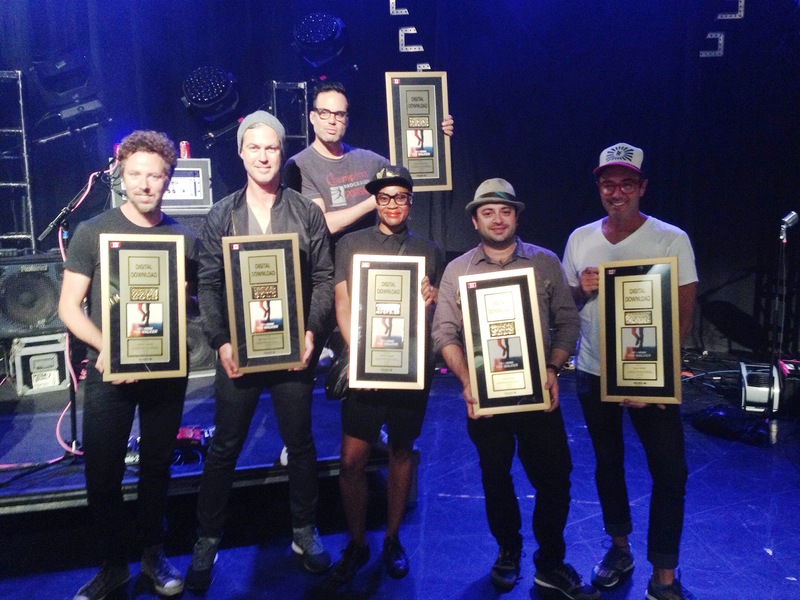 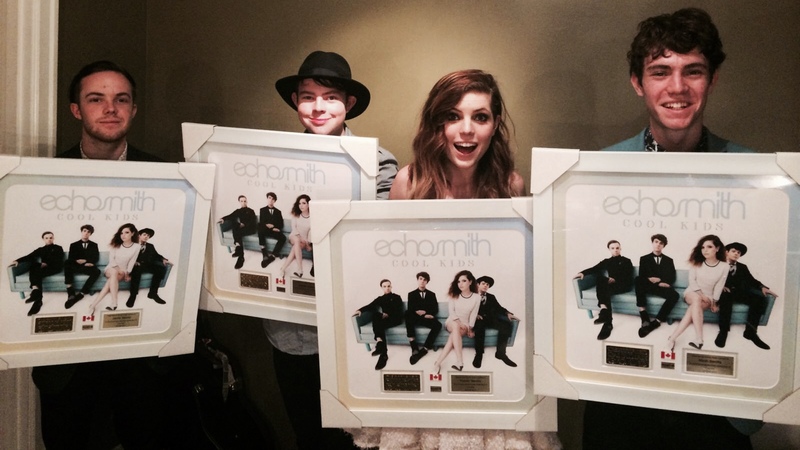 The full list of albums and tracks certified in 2014 in Canada can be viewed here. 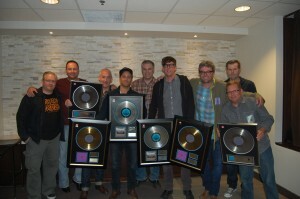 In December 2014, Michael Buble’s 2011 album Christmas received the highest certification of the year, earning Diamond certification status in Canada. 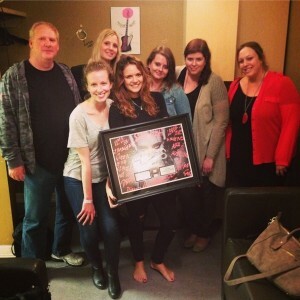 It is the first Diamond certification since Adele’s 21 in 2011 and the first Canadian Diamond Certification since Celine Dion’s Christmas album These Are Special Times and her greatest hits compilation All The Way…A Decade Of Song in 2007. Earlier in the year, Mumford & Sons 2012 album Babel was certified 5X Platinum while Eminem‘s 2013 album Marshall Mathers LP 2 was certified 4X Platinum. The highest Canadian multi-Platinum album certifications were Arcade Fire‘s Reflektor (’13) and The Canadian Tenors‘ The Perfect Gift (’10), both of which were certified 3X Platinum. 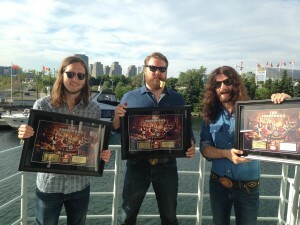 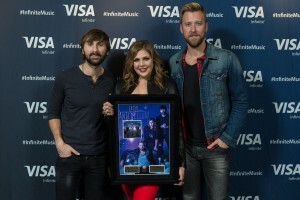 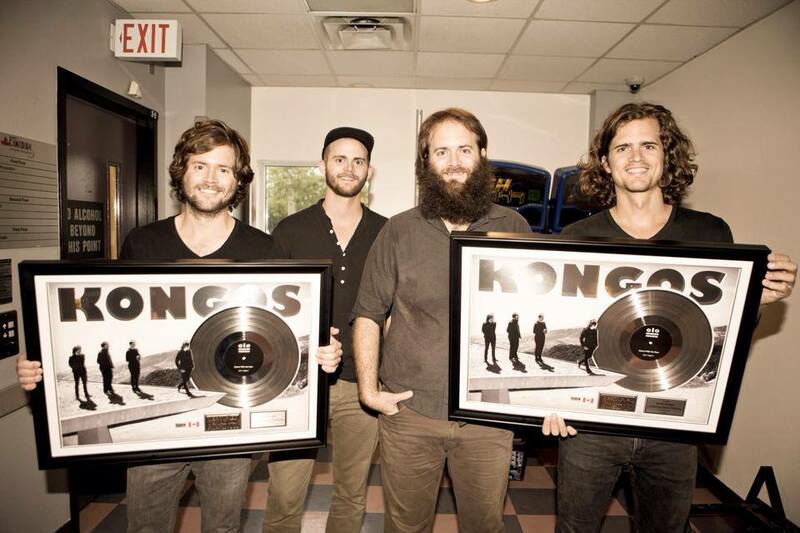 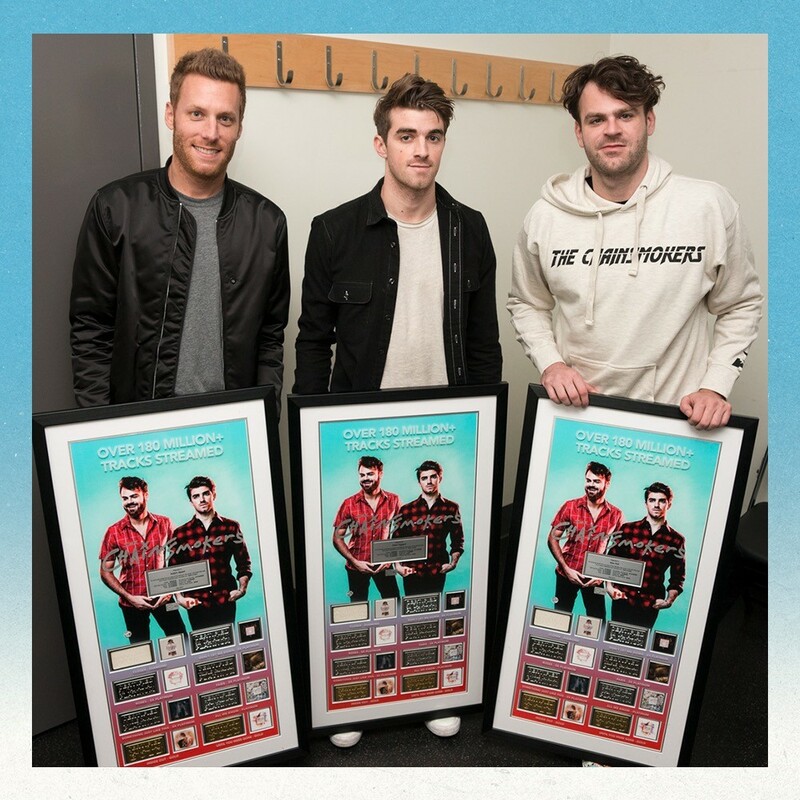 Other albums to be certified 3X Platinum were The Black Keys El Camino (’11), Imagine Dragons Night Visions (’12) and Bruno Mars Unorthodox Jukebox (’12). 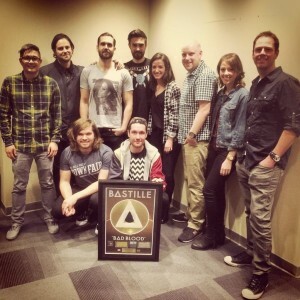 There were 85 albums certified Gold in Canada this year (up from 75 in 2013), with 20 of those albums being Canadian artists. 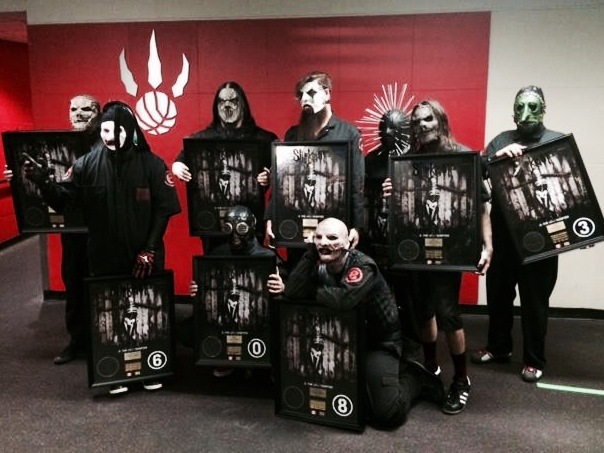 There were 36 albums certified Platinum this year (up from 34 in 2013) with 9 of those albums being Canadian artists. 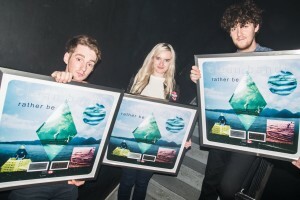 The highest certification for a song released in 2014 was Pharrell Williams’ “Happy” at 5x Platinum, while Sam Smith‘s “Stay With Me” and Meghan Trainor‘s “All About That Bass” were the 2nd highest certified 2014-released tracks at 4X Platinum. 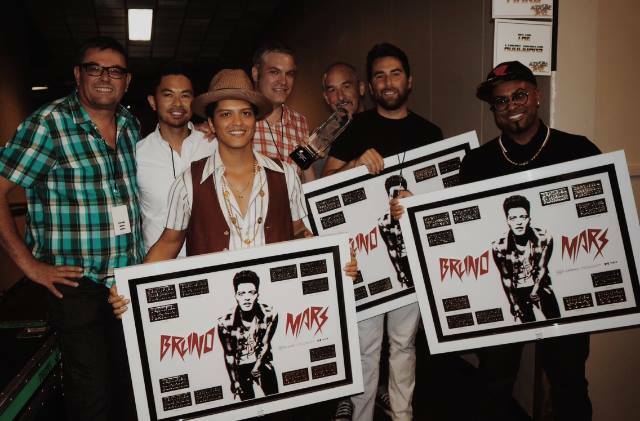 There were 2 tracks certified 9X Platinum this year; Adele‘s “Rolling In The Deep” (’10) and Robin Thicke‘s “Blurred Lines” (’13). Maroon 5’s “Moves Like Jagger” was certified 8X Platinum (’11). 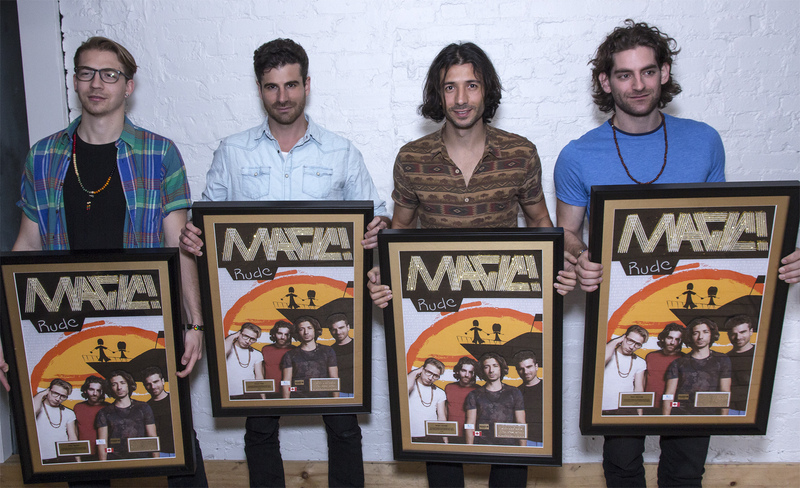 The highest certified Canadian track released in 2013 was Magic!‘s “Rude” at 3X Platinum, while the highest certified Canadian track not released in 2014 was Simple Plan‘s “Summer Paradise” (’10), also certified 3X Platinum. 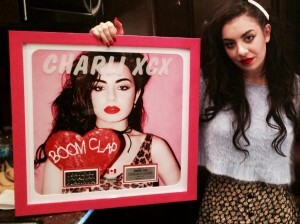 Other songs released in 2014 that were certified 3X Platinum were Calvin Harris‘ “Summer”, Ariana Grande‘s “Problem (ft. Iggy Azalea)” and Iggy Azalea‘s “Fancy (ft. Charli XCX)”. 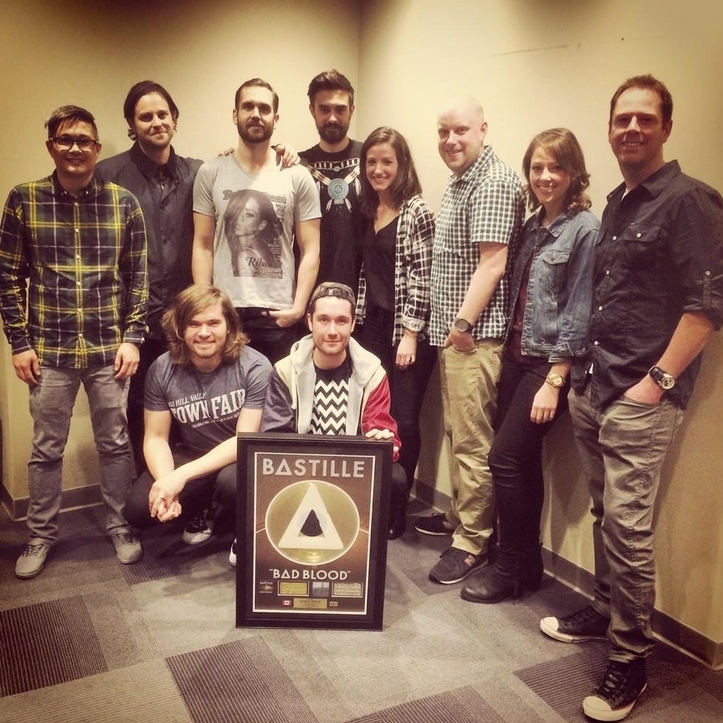 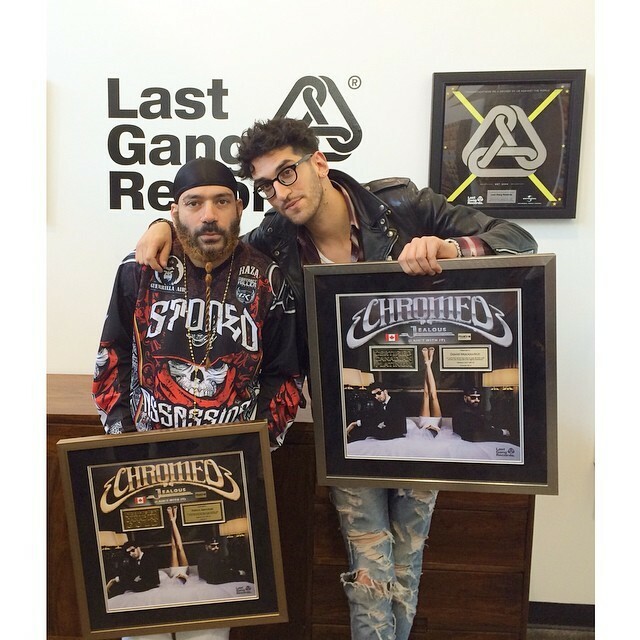 There were 143 tracks certified Gold this year (up from 124 in 2013), 21 of which were Canadian artists. 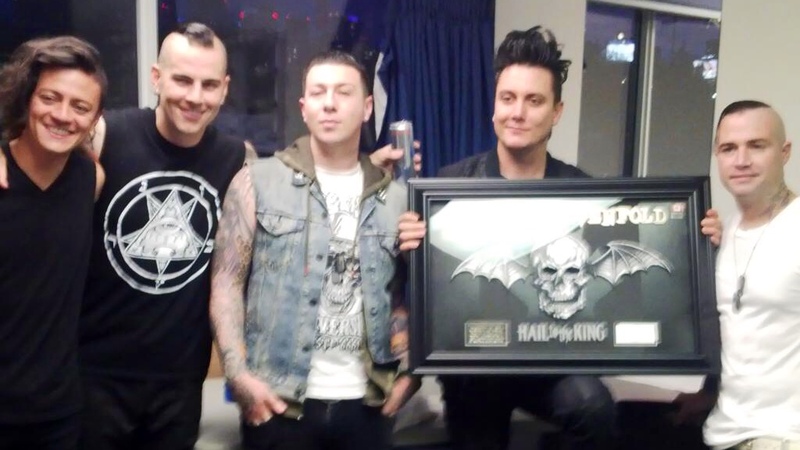 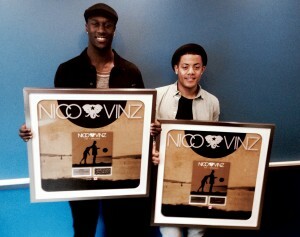 74 tracks were certified Platinum, 10 of which were Canadian artists.